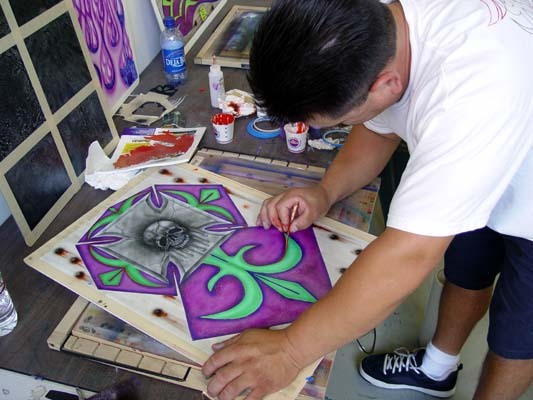 We teach hands-on pinstriping incorporated directly into the graphics. Everyone gets a chance to get dirty, and cover themselves in paint. We work with Mack, and Excaliber, the top striping brushes in the nation. All supplied for the workshop.